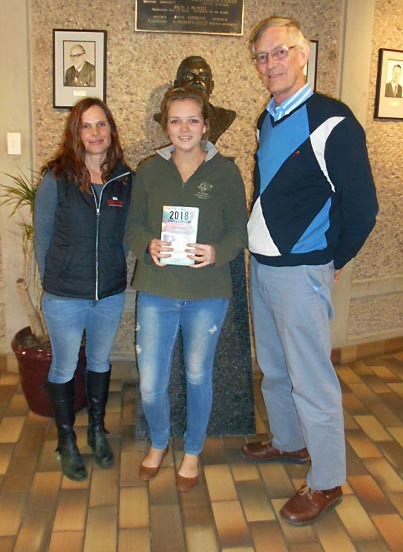 In July 2017 Ascendis Health (formerly CiplaVet Animal Health), in association with the SA Veterinary Foundation, handed over 30 copies of the BSAVA Small Animal Formulary to some of the 163 final year clinic students on a lucky draw basis. The intention is that each book will benefit a group of students on each relevant clinic rotation. It is hoped that these books will assist the students in their clinic year as well as making them more aware of the Foundation and its functions and mandate. The books were bought from a book fund specially set up by the SAVF for the purpose to assist students in their academic life. This is in addition to the bursaries that the Foundation gives to students. The Foundation is grateful that Ascendis Health joined forces with them to sponsor the books to help our veterinary students. Please Donate to the Student Bursary Fund! You can make a difference to help the animals and veterinary education of students of South Africa by supporting SAVF projects.